“When Etienne first expressed his idea of bringing chamber music to the small village of Lauenen during the winter season, to be performed in an intimate chapel in the mountains, I immediately loved the idea. “Chamber music is the highest form of expression and communication in the field of classical music and yet the environment of loud cities combined with our very busy lifestyles cannot create the right atmosphere for appreciating it. Joji Hattori is one of the leading Japanese musicians of his generation and has enjoyed a very varied career as a musician, firstly as a concert violinist, an activity which has developed into directing chamber orchestras, conducting symphony orchestras and finally operas. He has been Associate Guest Conductor of the Vienna Chamber Orchestra since 2004 and during the 2007/08 season served as Principal Resident Conductor of the Opera House in Erfurt, Germany. 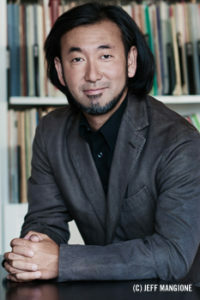 Joji Hattori is also Music Director of the Tokyo Ensemble, a project-based chamber orchestra he founded in 2001 and Music Director of the open-air Summer Festival at Schloss Kittsee in Austria. As guest conductor he regularly works with many distinguished orchestras such as the Philharmonia Orchestra London, Vienna Symphony Orchestra, Slovakian Philharmonic or the Yomiuri Symphony Orchestra Japan and has worked with renowned soloists like Maria João Pires, Elisabeth Leonskaja and Piotr Anderszewski. He made his debut in the Vienna State Opera with three performances of “The Magic Flute”. He was born in Japan and spent his childhood in Vienna where regularly attending the opera house and concert halls formed his musical development. Influenced by both cultures, Hattori is today one of the very few musicians of Asian heritage who is respected internationally for his interpretation of the Viennese Classics. He started playing the violin at the age of five and studied at the Vienna Academy of Music, followed by further studies with Yehudi Menuhin and Vladimir Spivakov. In 1989 he won the International Yehudi Menuhin Violin Competition in England. After a decade of international activities as a violin soloist, he turned to conducting and in 2002 participated at the inaugural Maazel-Vilar Conductor’s Competition where he was given a major award. Lorin Maazel enabled him to give his conducting debut at New York’s Carnegie Hall and continues to support his career. His opera debut at the Vienna Kammeroper with Mozart’s “La Finta Giardiniera” was praised unanimously by all major newspapers in Vienna and following a Japan premiere of Leoncavallo’s “Zaza” at the New National Theatre in Tokyo, he was re- invited to conduct a production there in January 2006, inaugurating the Mozart Anniversary Year at Japan’s first opera house. Apart from his performing activities, he is President and Member of the Jury of the International Yehudi Menuhin Violin Competition and since 2003 Honorary Member at the Royal Academy of Music in London. He also studied sociology at Oxford University (St. Antony College).